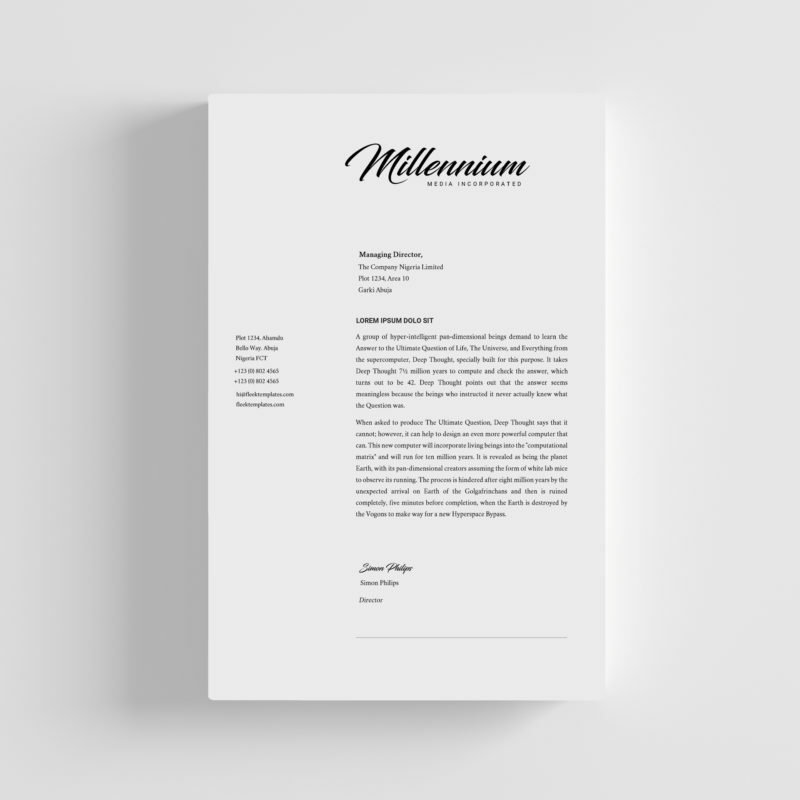 A highly professional simple letterhead template (A4 size) suitable for all types of businesses. 100% editable in Microsoft Word. Note: Follow the links in the User-guide to download and install the required fonts before opening the templates.